I joined Nokia in 2005 after leaving Italy and returning to the UK. I would end up staying with the company for over four years and have the chance to work on a wide range of projects as part of an international team of multidisciplinary specialists. I started out working on interactive prototypes (usually made in Flash) for the Nseries gallery, as well as being part of the core design team’s Insight and Innovation project, which was tasked with working on UI and hardware concepts for the rest of the company. 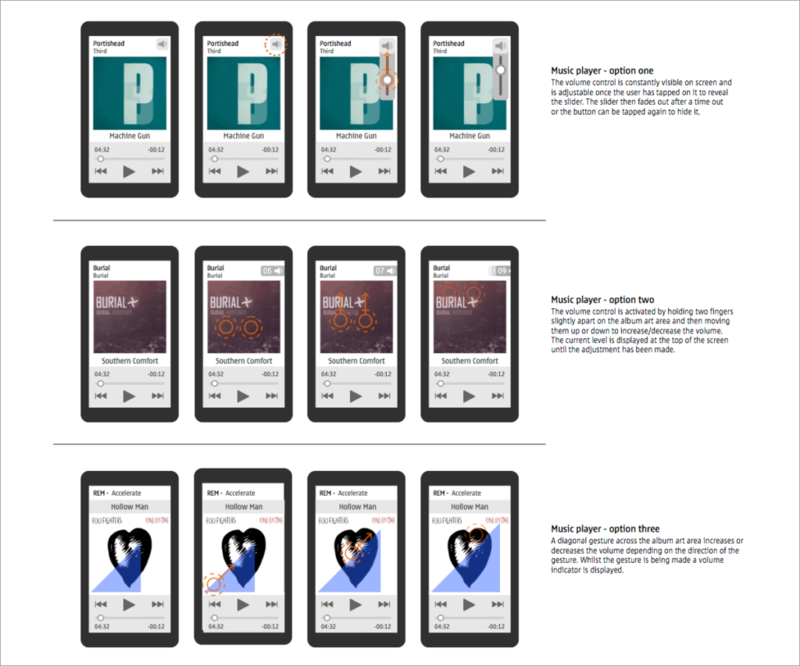 Later our team would become part of the larger ‘Services and UI design’ team and work on a range of projects, including concepts for the core UI of what would become Nokia’s first touchscreen device. I also worked on one of the best projects of my career so far, the outcome of which was applications designed for low-end devices used in emerging markets, known then as Life Tools. The projects displayed below are just a small selection of the work I did whilst at Nokia. 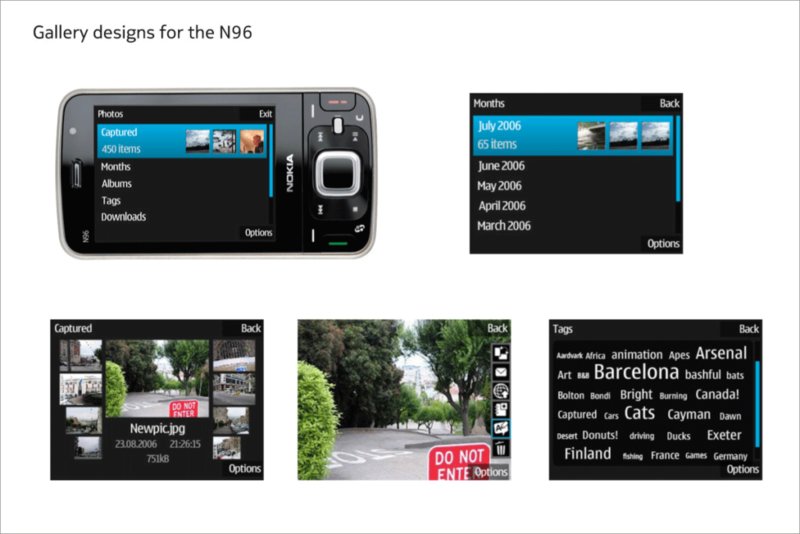 After joining Nokia I worked for over a year on the Nseries gallery application, creating multiple interactive prototypes and detailed UI designs that were implemented on several devices, including this N96. 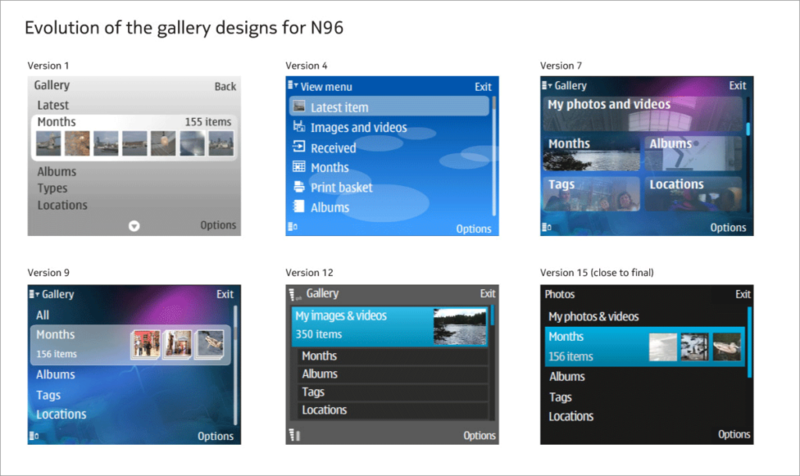 The Nseries gallery evolved considerably over time as the team finessed the UX and UI designs. 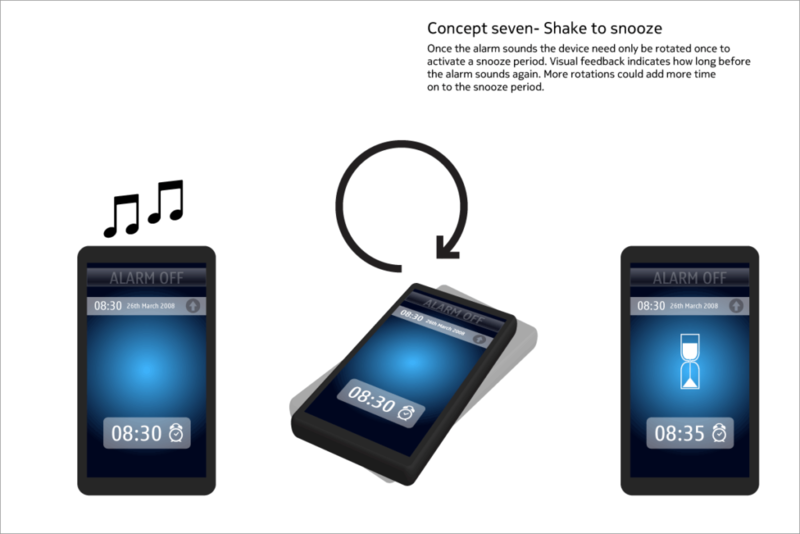 This is a snapshot from one part of a larger concept project that was focused on using sensors onboard a then in-development touchscreen device to create new methods of interaction, in this case with control of the alarm function. This is another one of the concepts for Nokia’s then in development touchscreen device, looking at ways of using onboard sensors to improve core application interactions. These are photographs I took during a research trip to Nigeria as part of a project to develop applications useful for emerging markets. The image on the left is of the town of Epe where I met a number of local residents and talked to them about the way they use their mobile devices to help with various aspects of their daily lives. 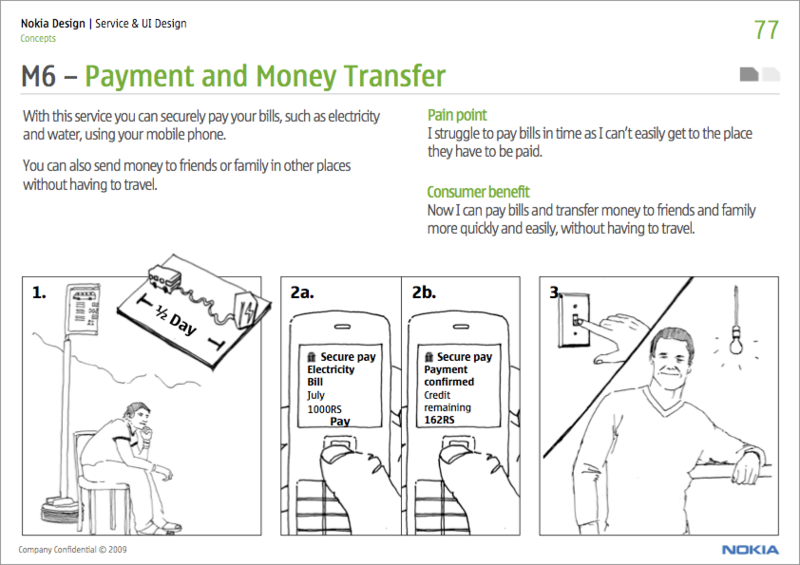 The image on the right is of one of these residents’ devices and he uses each one for different functions, including adapting the contact app to keep track of financial incomings and outgoings. It was a fascinating trip and hugely important when it came to working on concepts back at the office. 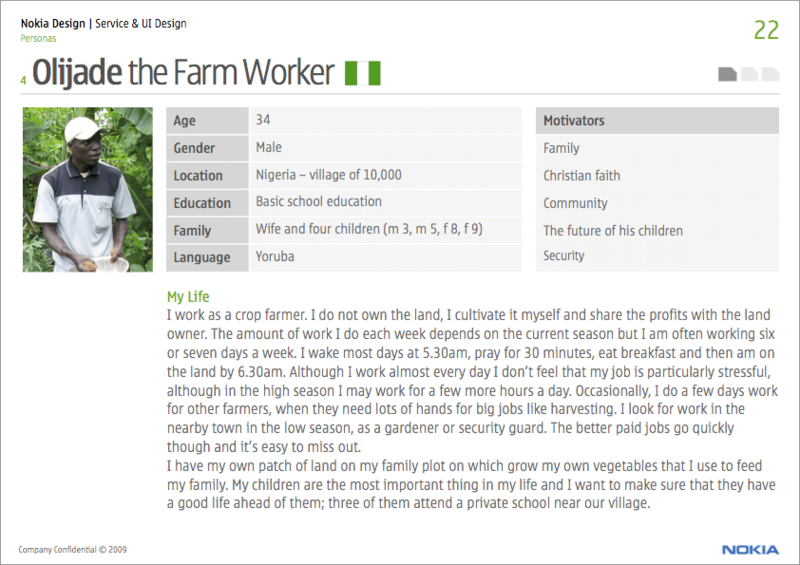 One of the first tasks myself and other colleagues (who had made similar trips to emerging markets) worked on was the creation of personas that were based on people we’d met on research trips and that were used as part of the concept creation process. An example of one of many concepts that were designed following our research trips. We worked with an illustrator to bring each one to life and the idea with the three panels was to show the current problem, the proposed solution and the intended outcome. One project I worked on as part of the Service and UI design team was an idea for new hardware that featured a secondary OLED touchscreen in place of what would then have been a mechanical keyboard. 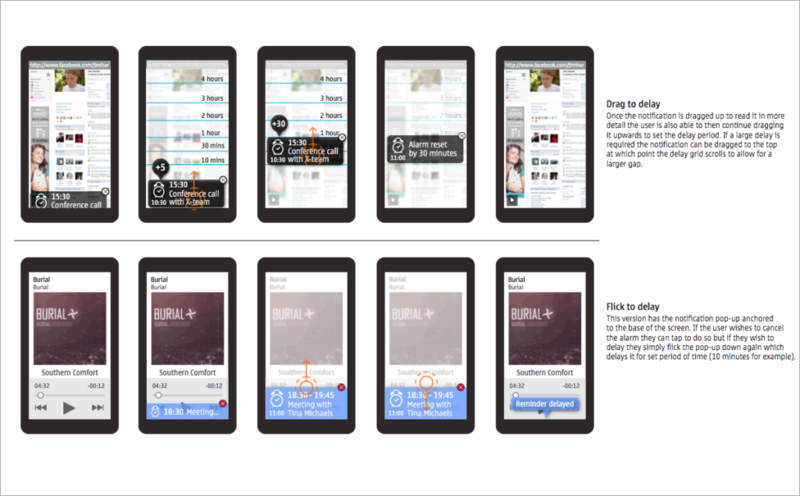 The idea was that the screen would then display buttons relevant to the UI on the main screen. 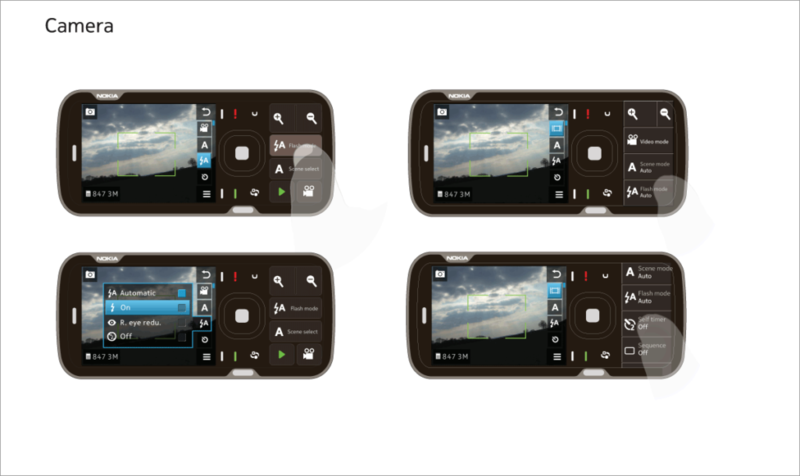 In this case when the user opens the camera application specific functional buttons are displayed. 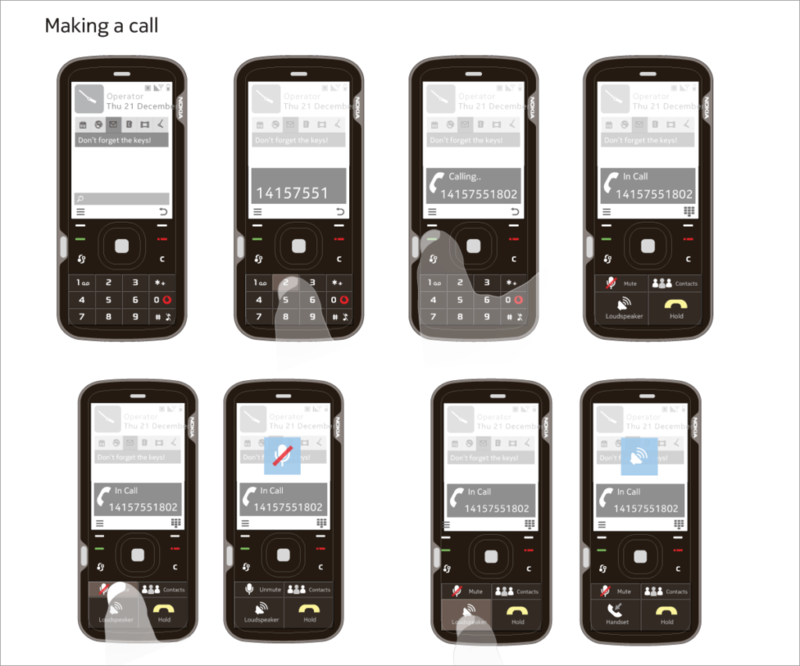 This shows how the secondary OLED screen would change whilst the user is making a call on the device. 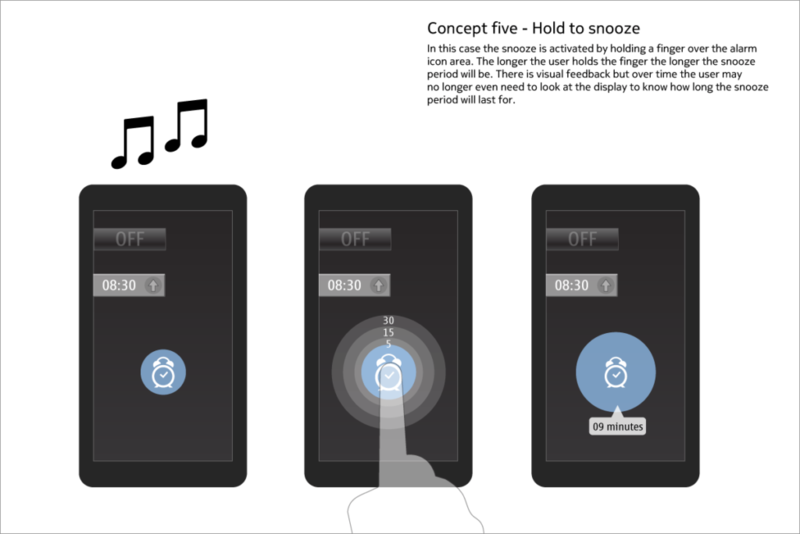 This is a snapshot of a project that was part of the design of Nokia’s first touchscreen operating system and was looking at how we could use the then new technology to improve core system applications, in this case the function of notifications. Also part of the same touchscreen operating system project were these concepts for how volume control could work with the new technology.